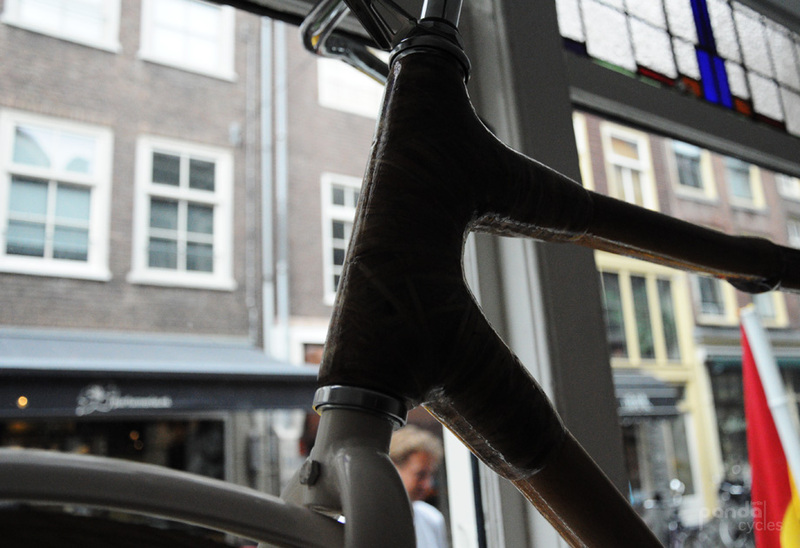 Considering framesets there have been alu and carbon for the „techboys“ and steel and titan for the „retros“ and „esthets“ – SO FAR! 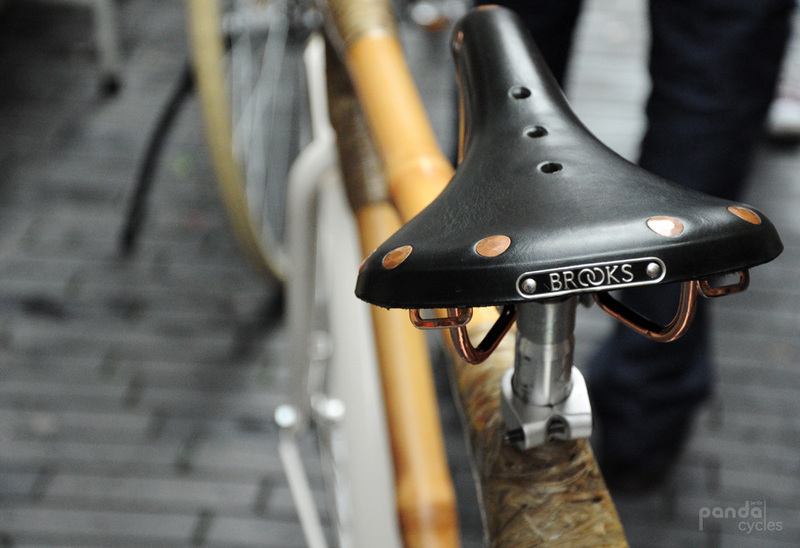 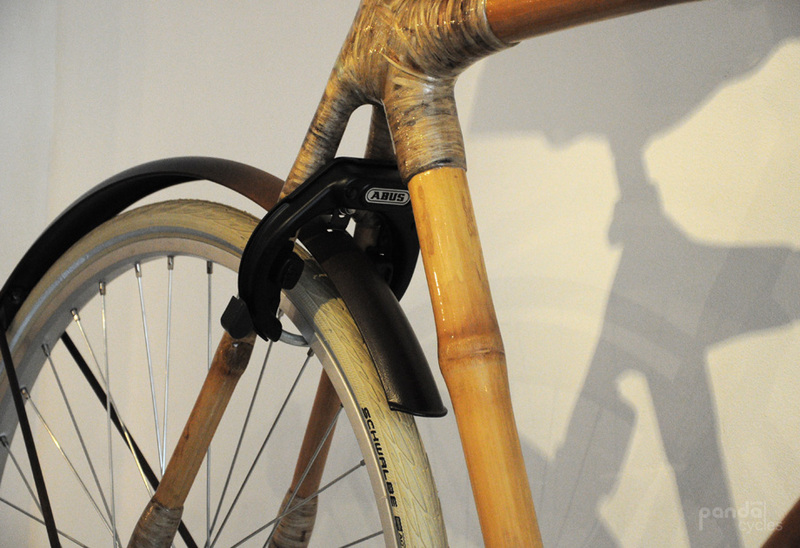 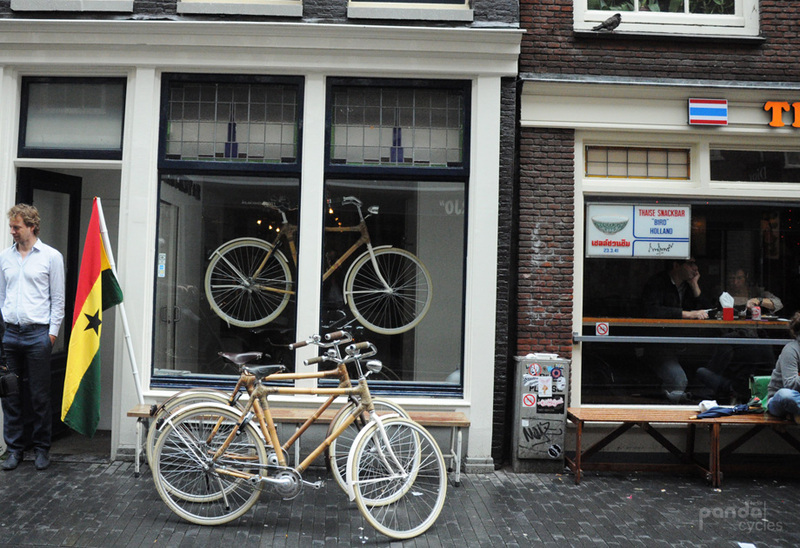 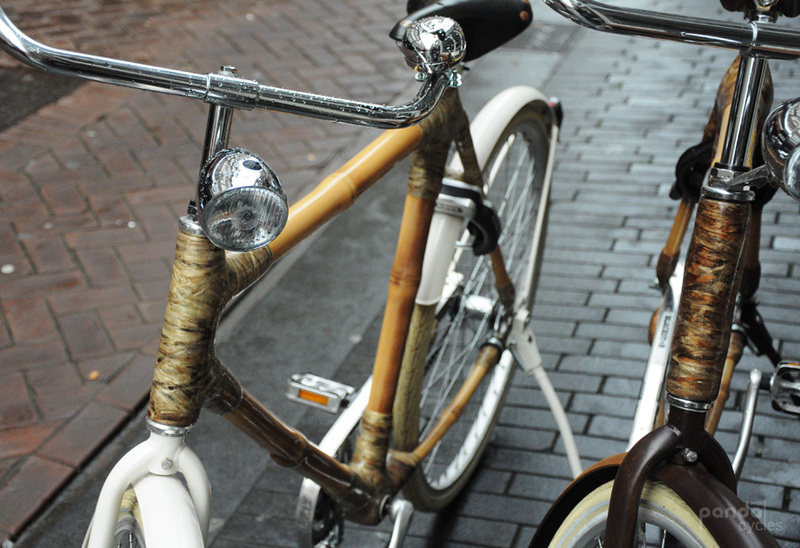 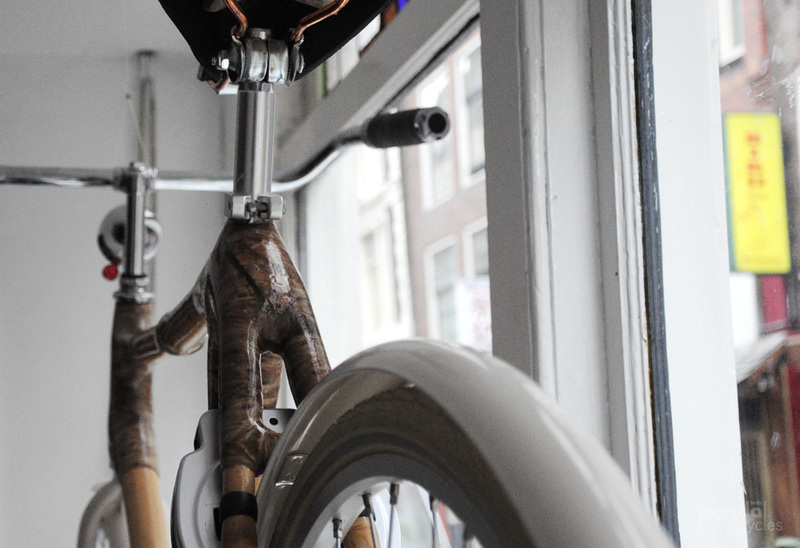 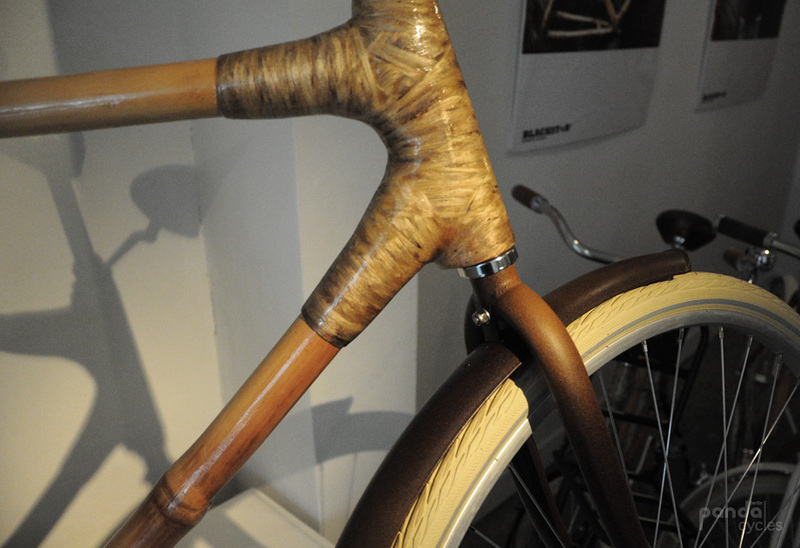 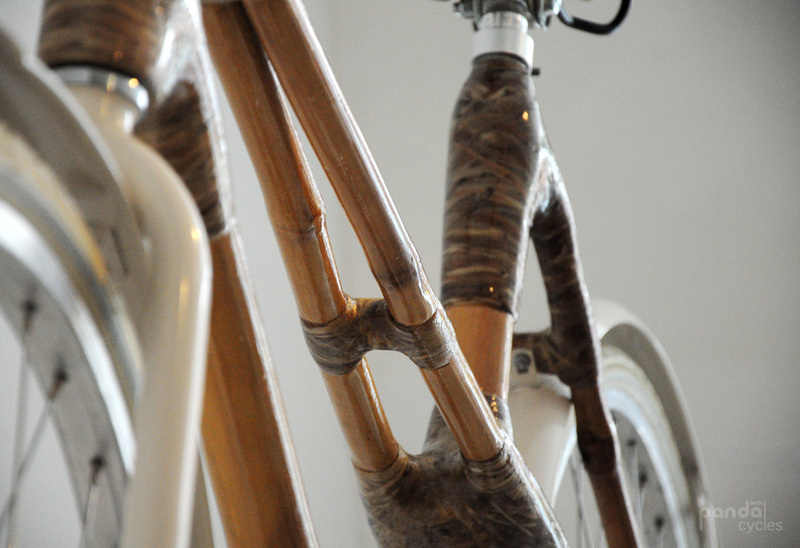 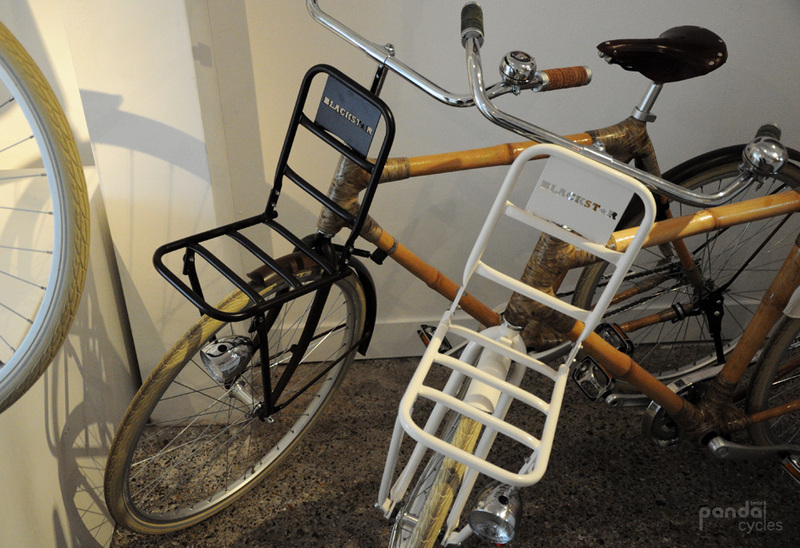 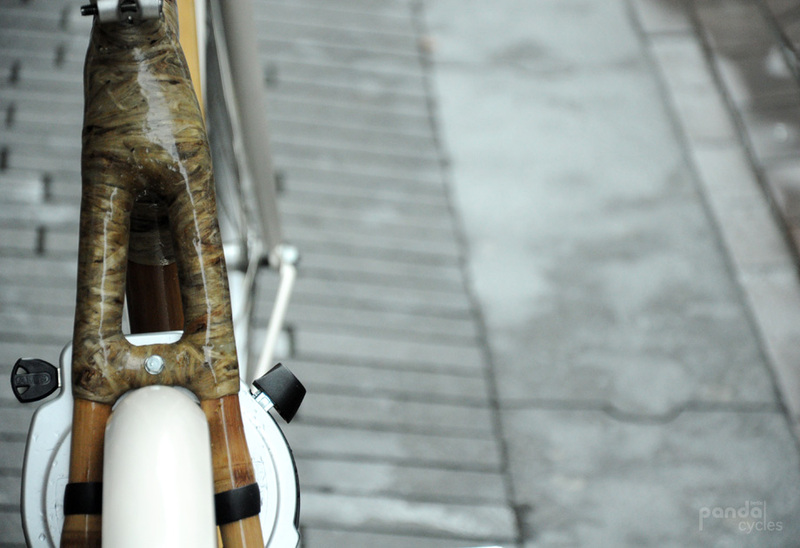 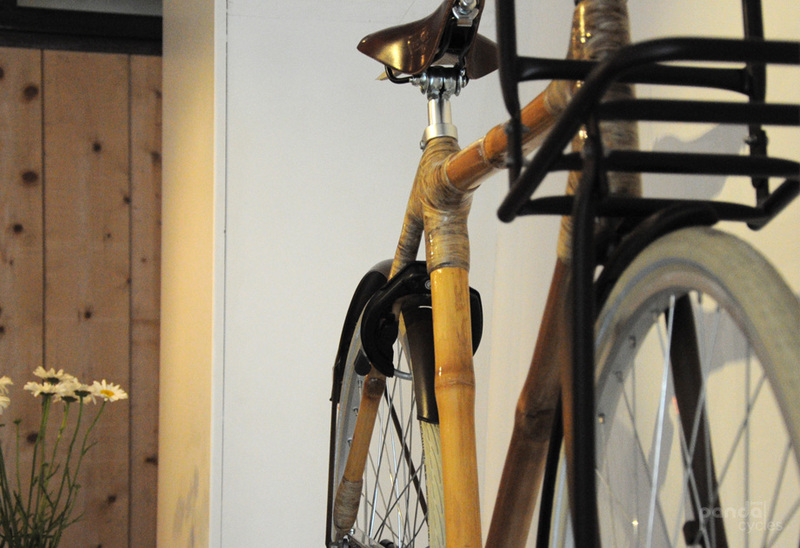 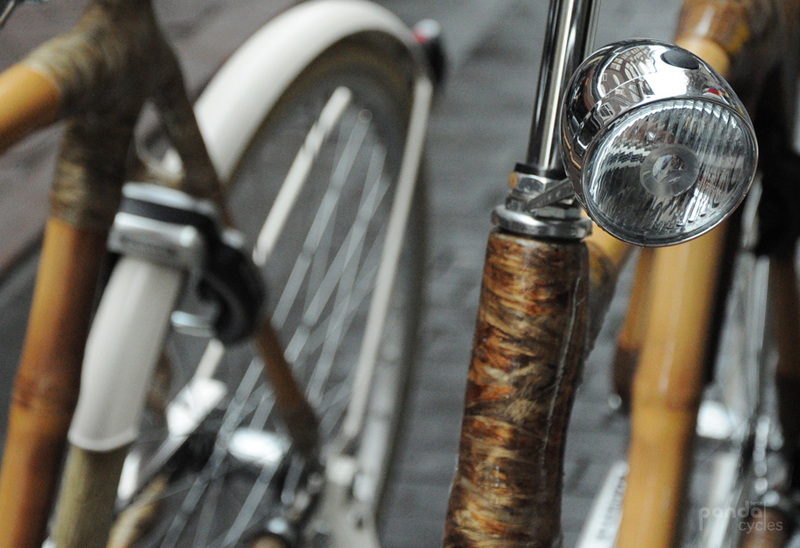 Since 1 year BlackStarBikes from Amsterdam adds one more material, where – not only – pandas are happy about: BAMBOO! 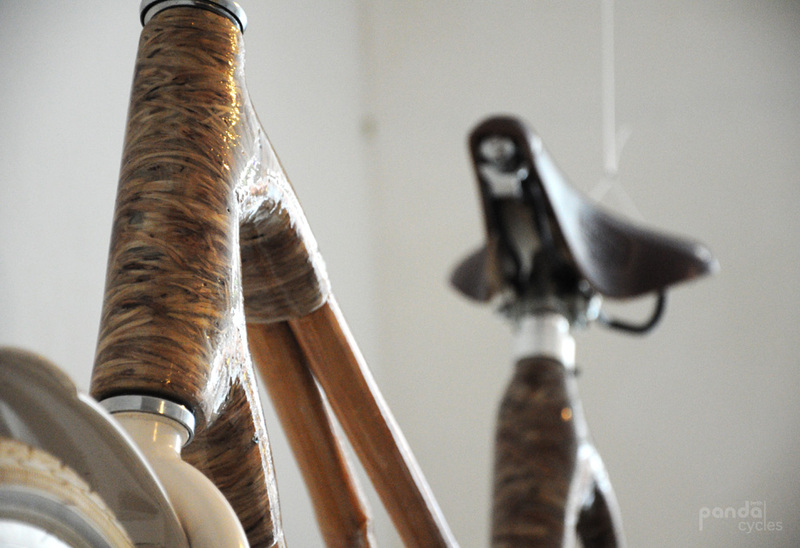 create an avantgarde concept of locomotion, accessable for everybody (with the very good price of 849 EUR). 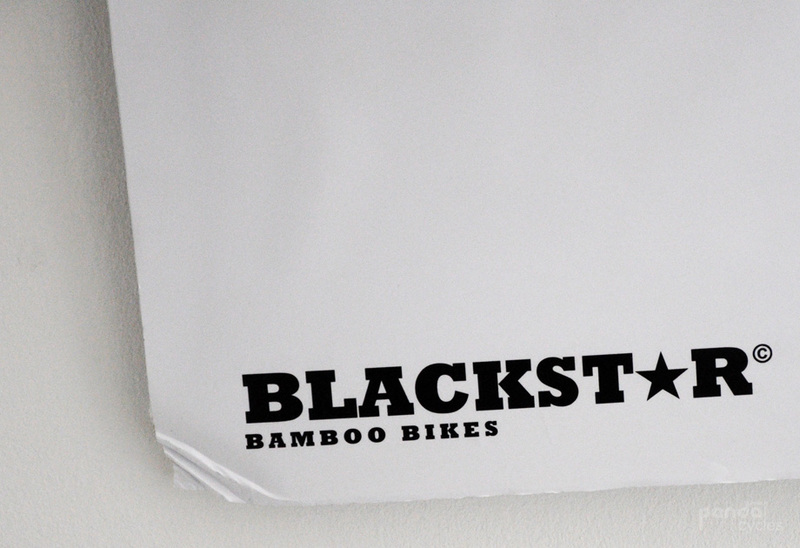 BlackStarBikes are: Imke, Seb and Taco. 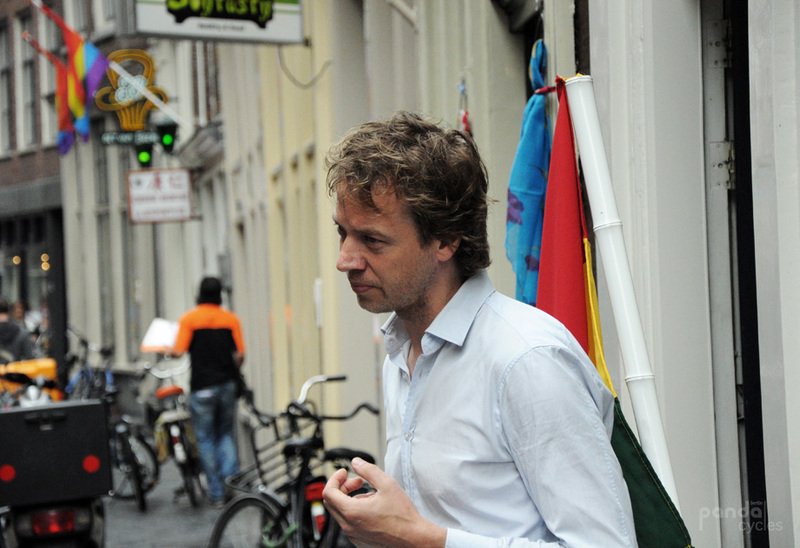 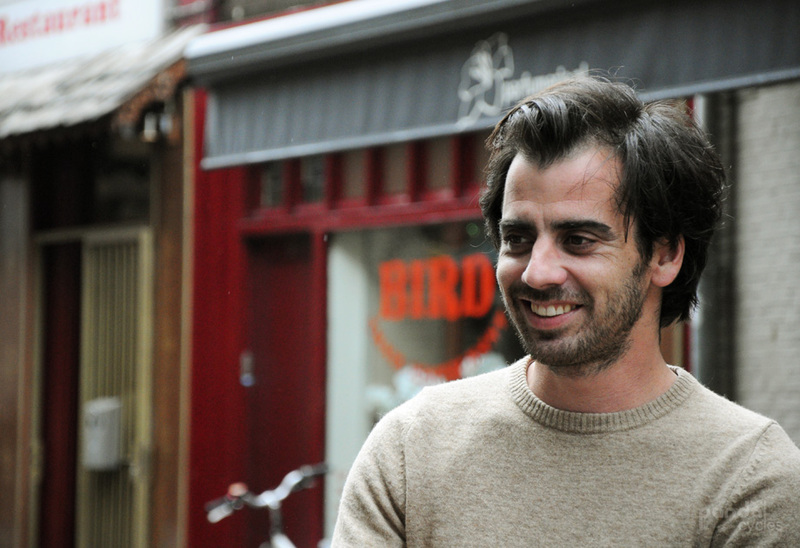 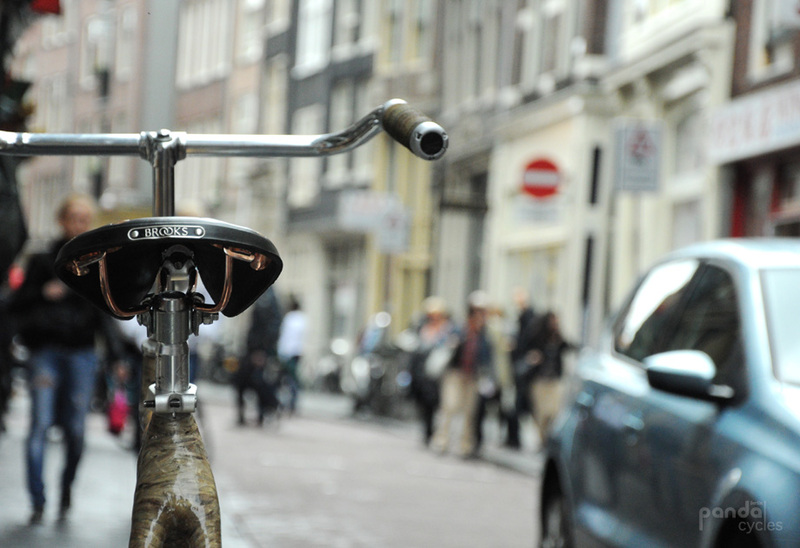 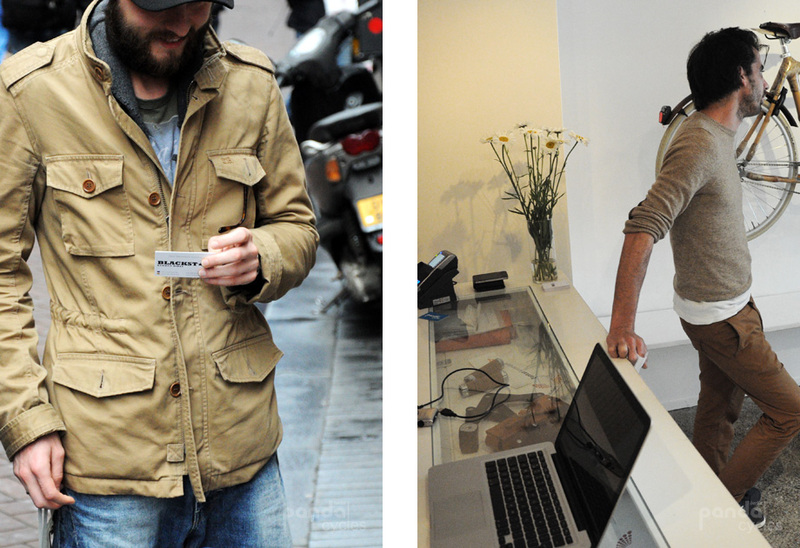 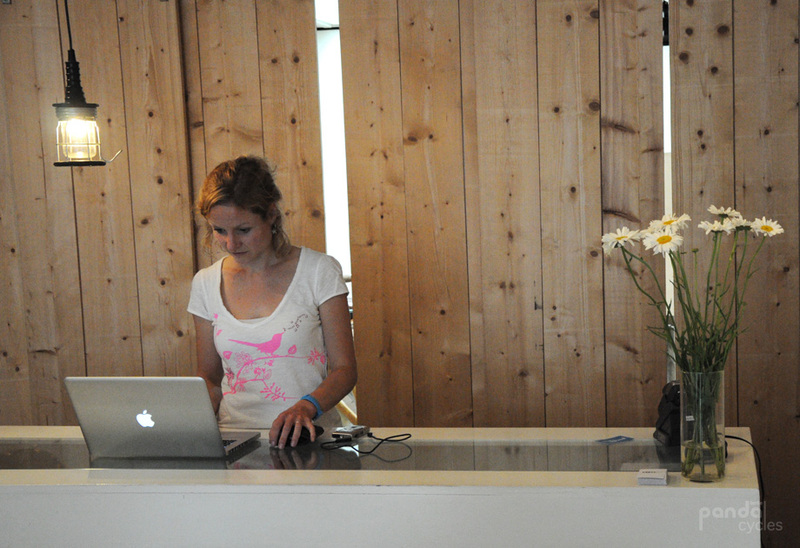 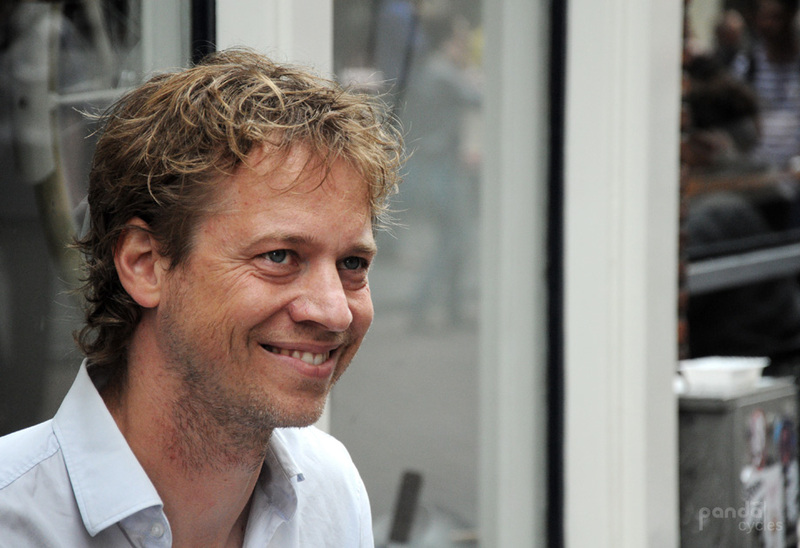 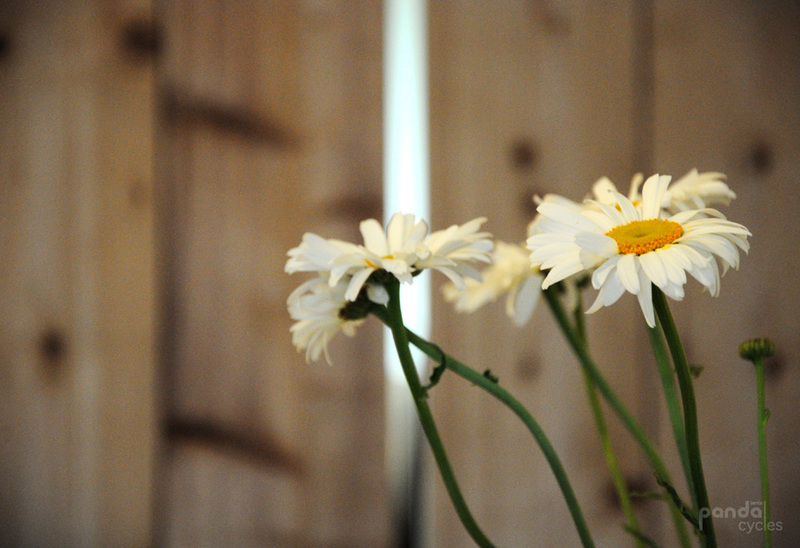 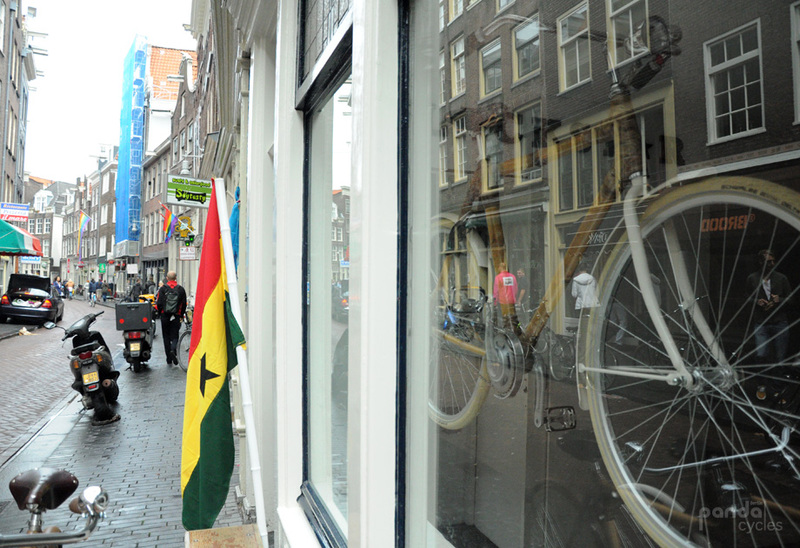 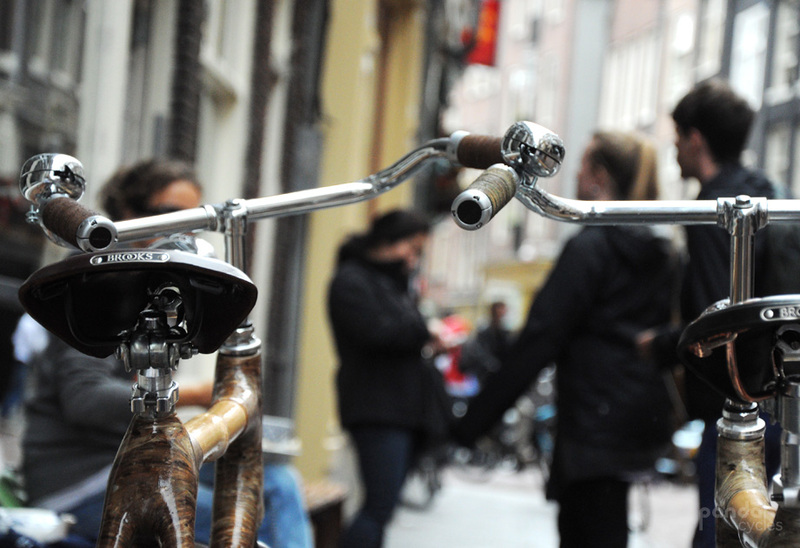 We met them in their pop-up store in the center of Amsterdam on 14th of July 2012. 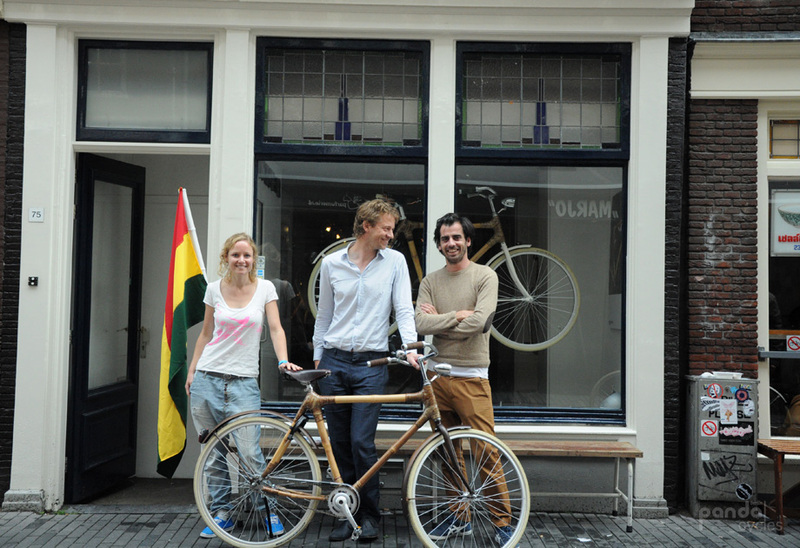 Thanks Imke, Seb and Taco for havinig us! 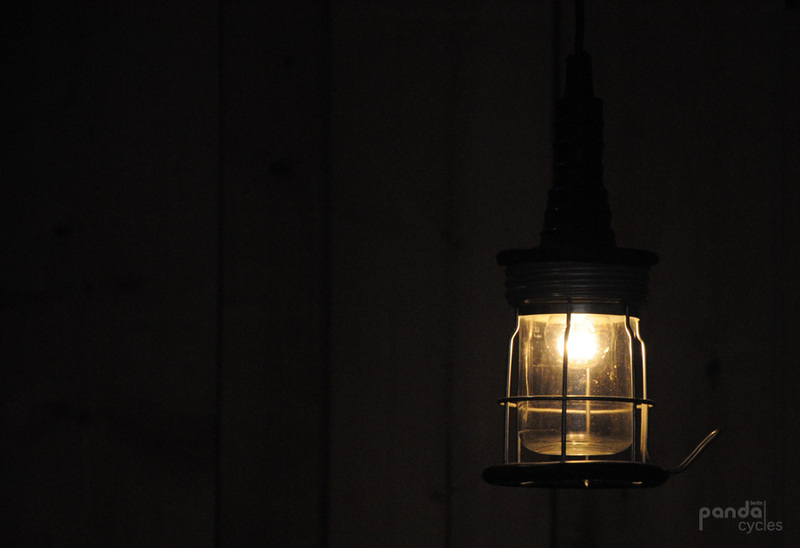 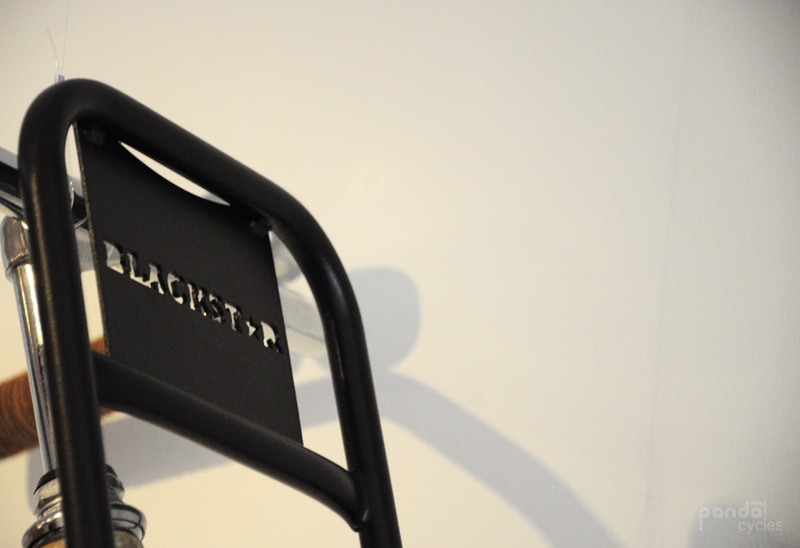 We are very curious to see what your next steps will be. 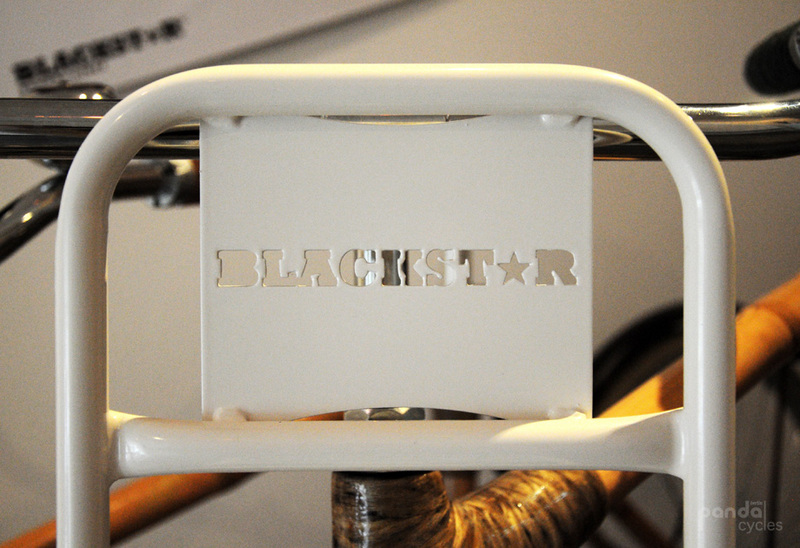 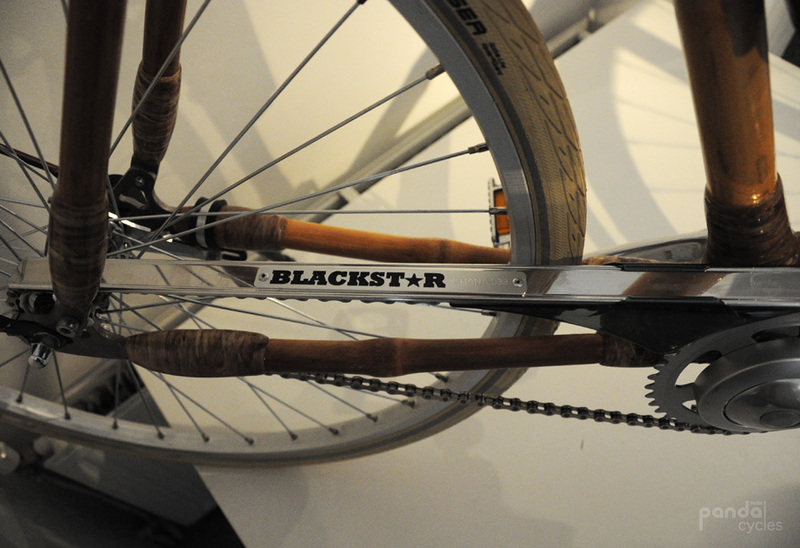 „The BlackStar was born out of a desire to produce a bamboo bicycle that would be more than just a novel gimmick. 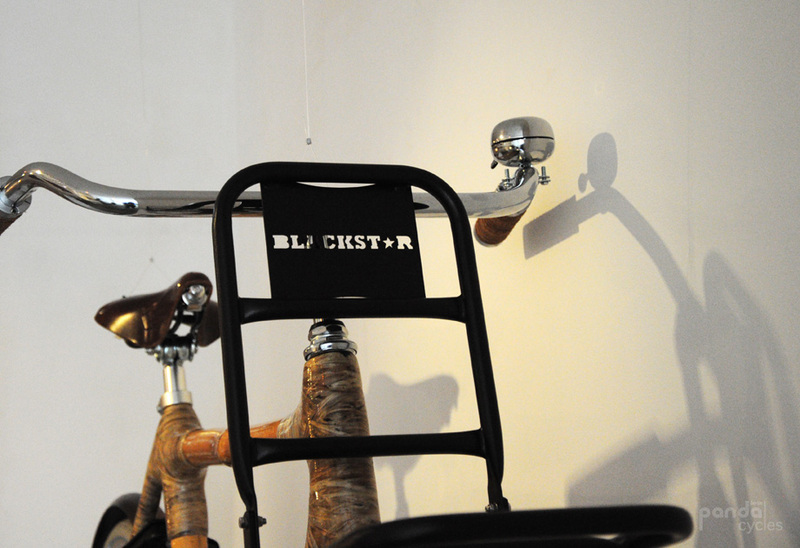 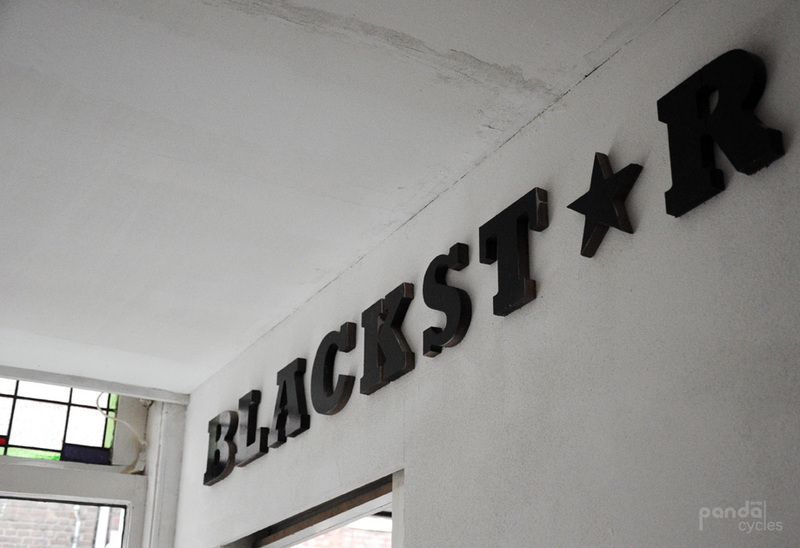 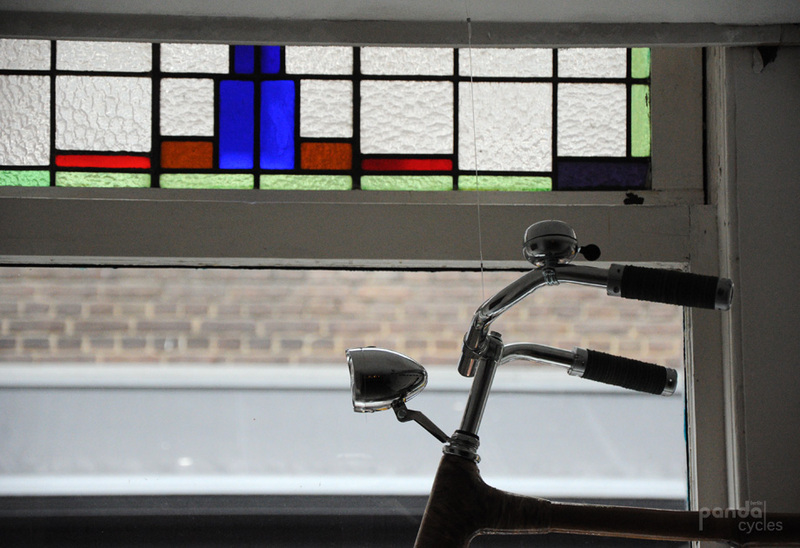 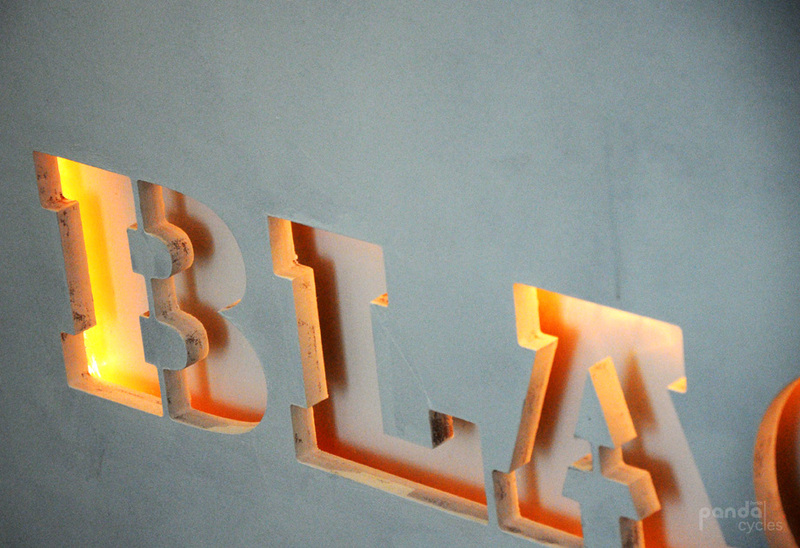 The BlackStar therefore combines all the ingredients of the safe and stylish urban bicycle transportation to which we are accustomed, with socially and ecologically sustainable and affordable mobility. 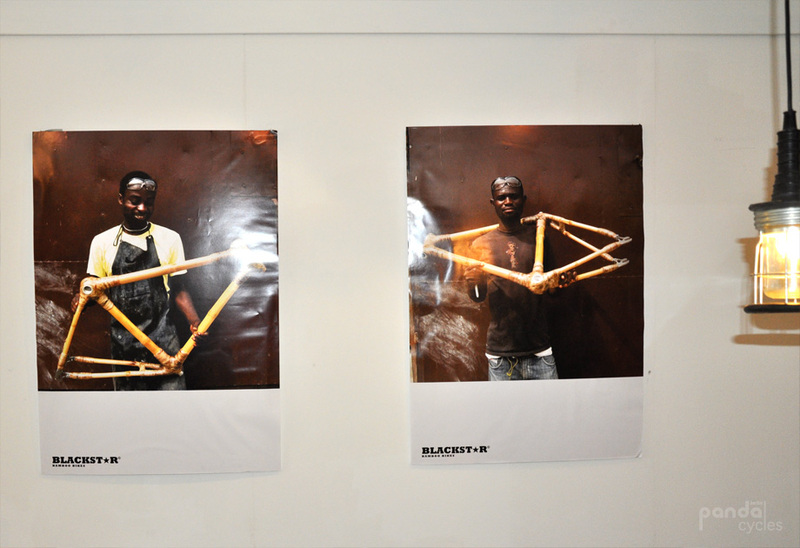 During the years we lived and worked in Africa, one of the issues that kept us thinking is the lack of export of manufactured goods. 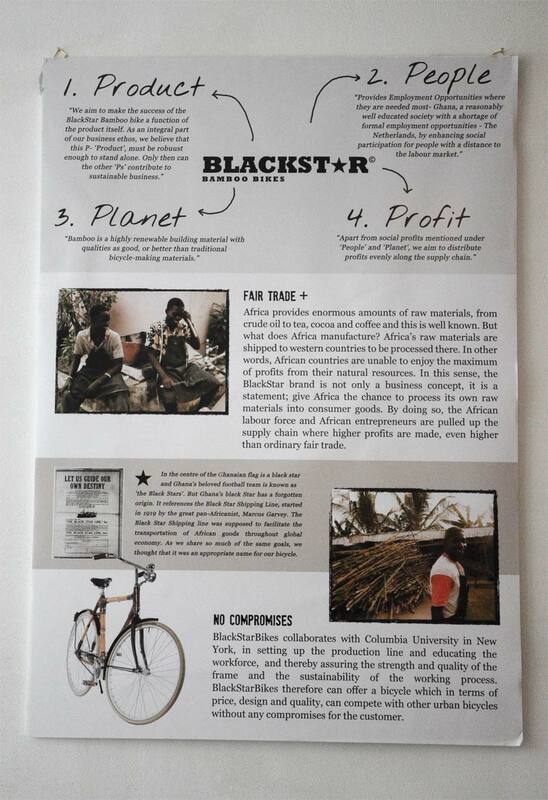 Africa provides enormous amounts of raw materials, from crude oil to tea, cocoa and coffee and this is well known. 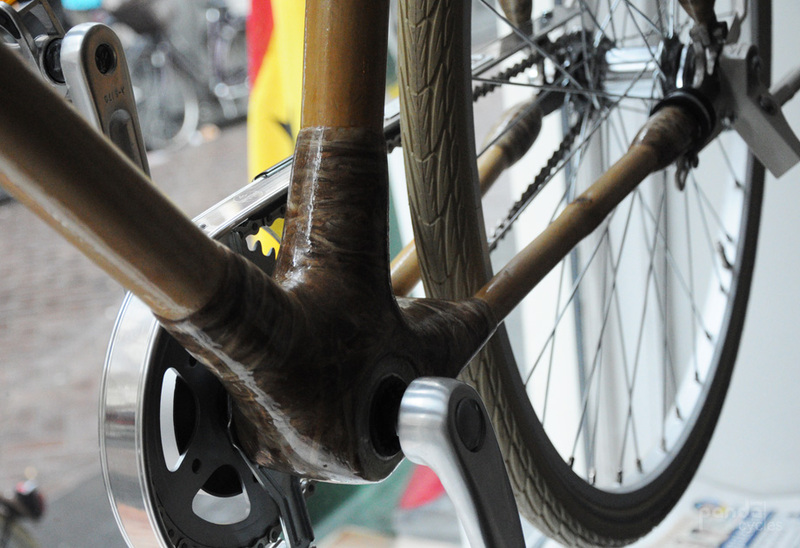 But what does Africa manufacture? 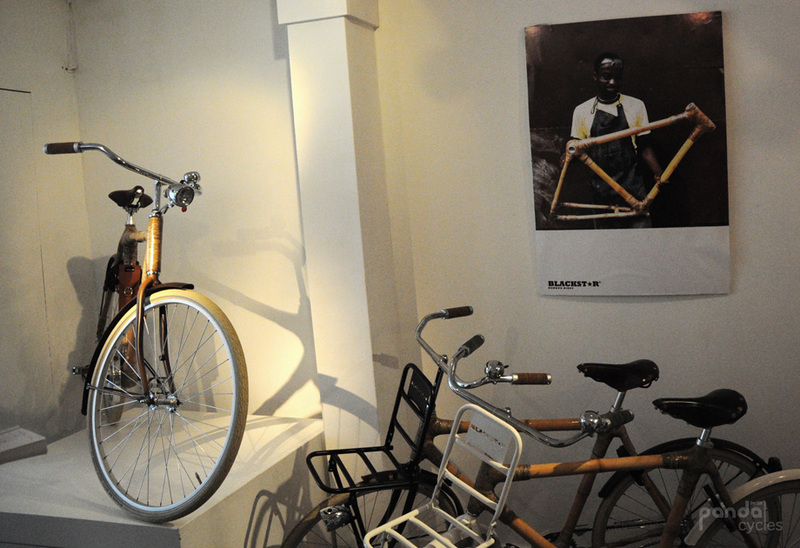 Africa’s raw materials are shipped to western countries and to China, to be processed there. 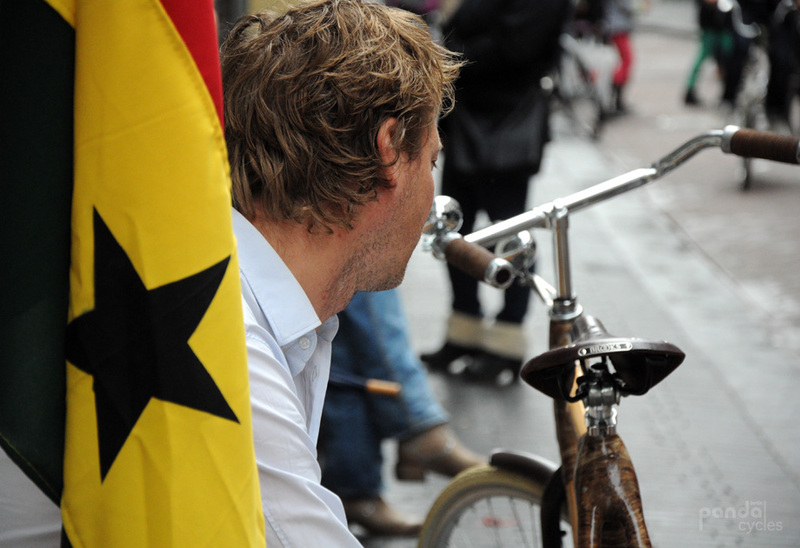 In other words, African countries are unable to enjoy the maximum of profits from their natural resources. 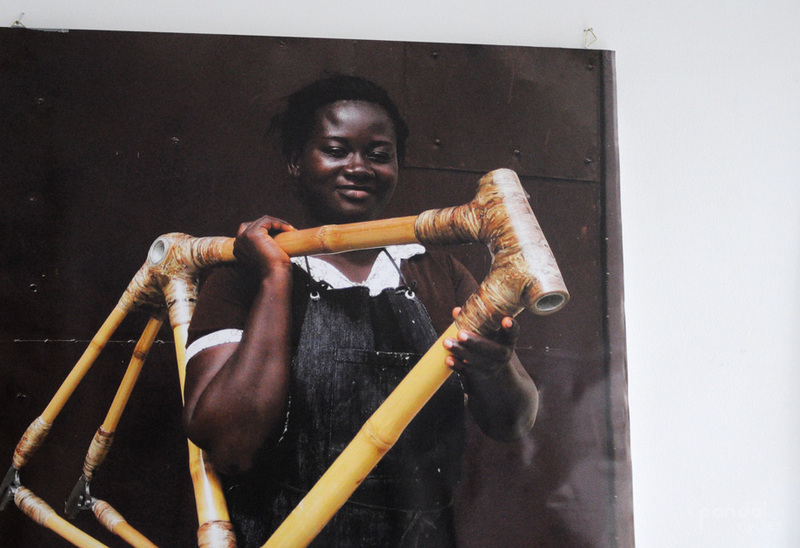 The profits made by a Ghanaian farmer on a bag of cocoa beans are low, but the profits made by household chocolate brands, which contain those very same beans, are very high indeed.